Former superintendent of the Oregon State Prison (OSP), Frank Thompson, recently testified before both chambers of the Maryland legislature as they debated the repeal of the death penalty. 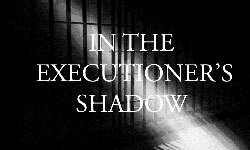 If Gary Haugen prevails in his bid to be executed, the Oregon Supreme Court would essentially be vesting the death-row inmate with authority greater than the constitutional power given to the governor, a lawyer for Gov. John Kitzhaber warned Thursday. Some state lawmakers, religious leaders and citizens are calling for the repeal of Delaware’s death penalty. A bill, spearheaded by Senator Karen Peterson, would not only abolish the death penalty, but it would also modify existing death row sentences to life in prison without the possibility of parole. There are 17 men on Delaware’s death row in Delaware. On Thursday, Witness to Innocence Tour stopped at Willamette University’s Cone Chapel, where former death row inmates recounted their experiences to a room of about 70 people.The Witness to Innocence Tour travels the country speaking to organizations about repealing the death penalty. North Carolinians would rather have convicted killers pay restitution to their victims’ families if they spend the rest of their lives behind bars. 68 percent of North Carolina residents support replacing the death penalty with life in prison without parole, if offenders are required to work and pay restitution to the families of their victims. Follow up to Feb. 26 House Judiciary Hearing: Thank you! Thank you to all of the people who attended the Committee on Judiciary hearing on Wednesday (Feb. 26) on House Joint Resolution 1, to repeal the death penalty. In addition to a long list of witnesses, speaking in support of repeal, the hearing room was filled to the allowable capacity and folks were directed to not one, but two overflow rooms to watch the proceedings on television monitors. Read more about Follow up to Feb. 26 House Judiciary Hearing: Thank you! Oregon Governor John Kitzhaber is urging state lawmakers to send voters a measure to ban capital punishment. But in a meeting with reporters Tuesday, legislative leaders showed little enthusiasm for taking up the hot button issue. Oregon’s death row is shrinking. Since Governor Kitzhaber declared his moratorium on executions, no new death sentences have been imposed and five death sentences have been overturned.